We’re a nation of travellers. We’re also a nation of dog lovers and wherever we go, we like to take our best mates along for the ride. Whether we’re just commuting to work or getting away to the coast or the snow for the weekend, Australians simply drive a lot. Many Australians aged over 18 get around by car so when it comes to travelling with the family dog, proper crate training is a must. Crate training is also used for a variety of tasks, including house training and safety. The idea is that the crate provides your dog with a short-term, comfortable containment that will keep it from injuring itself or getting up to mischief unsupervised. We’ve put together a few tips for how to best crate train your puppy. There are plenty of ways to get the process wrong so, for the most effective results, here’s a list of the best crate training techniques. The crate is a great way to contain your puppy as a punishment. They will need to learn from a young age that destructive behaviour will not be tolerated, especially when it comes to furniture and food. Many people make the mistake of containing their dog as a punishment only when they haven’t got the time to supervise them, allowing them to run free when they’re about. As with all training and discipline, consistency is the key to success. Be sure to send them to the crate for roughly 15 to 20 minutes each time they misbehave; just like kids, they will soon learn what is right and what is wrong. Crate training can also be beneficial when it comes to house training your dog. If you crate them up at night time or any other time you’re not available to supervise them, they will treat the container as their home. Dogs will avoid defecating in their own living quarters at all costs. 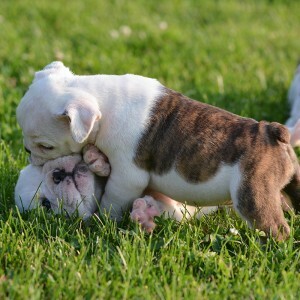 Puppies are the same but, toilet training can be a trial and error process and it’s best to have a back-up crate handy. Crating them at night is a great way to get your dog into good routines that will better fit in with your lifestyle and busy schedule. We live pretty busy lives these days and it’s important to give our dogs as much of our attention as possible in the little time we have. Young dogs will need a lot of attention from their owners and, often, new owners make the mistake of reading playful eagerness as misbehaviour. Avoid crating your puppy for things like jumping up on you when you first get home or for darting about the house with glee; these are all perfectly normal signs of happiness. Furthermore, if you punish a dog for their youthful enthusiasm, you’ll quickly find that depression and separation anxiety can set in, causing more behavioural problems than you thought you had in the first place. Crating your dog while at work. While crating is a perfectly acceptable way to teach things like house training and bladder control or maintain discipline, crating your dog for hours upon hours at a time during the workday is not advised. Just like humans, a dog’s body will slow down whilst they sleep and the need to defecate will not be nearly as pressing during the night time hours. Some owners get into the habit of crating their puppy whenever they’re not available to supervise the animal and this includes work days of hours on end. The rule of thumb for these scenarios is that crated dogs should be given a break at least once every four hours or so. That means coming home in your lunch break and giving them a quick run about in the backyard. It’s suggested that the younger the dog, the less time the dog should be crated. Don’t go the full monty, not off the bat. Many dogs will have phobias or express anxiety when it comes to being contained in a crate. It’s important to introduce your dog to the crate with ease, over a number of weeks before leaving them alone in it. The most important thing is to develop a positive attitude towards the crate. Make sure you buy one that has plenty of room; be sure it’s comfortable and some of your dog’s favourite toys are within reach. Feeding them inside the crate is another great way to develop a positive attitude, together with games that include play inside the crate. When it comes time to start locking them up at night, begin locking them in while you’re still awake and in view. Young dogs may develop separation anxiety if you move things along too quickly; crating should be an easy transition. Vary the time puppies spend in the crate. During crate training it’s best to vary the amounts of time your dog will spend in the crate. This doesn’t apply to disciplinary or ‘time-out’ crating which should remain consistent at all times. 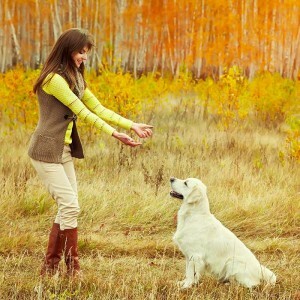 Dogs will get into the habit of expecting to be released at certain times of the day if the training phase is not varied. While it’s good to get them into good toilet routines, crating should not be used as a device to deny them their natural functions. With regard to young dogs especially, many people will make the mistake of crating the dog for a specific amount of time each day and expect their puppy to fit in with their regime. To avoid barking, whining and the accidental soiling of the crate, vary crating times for young puppies. So there they are, a few important tips for getting the most out of your crate training routine. 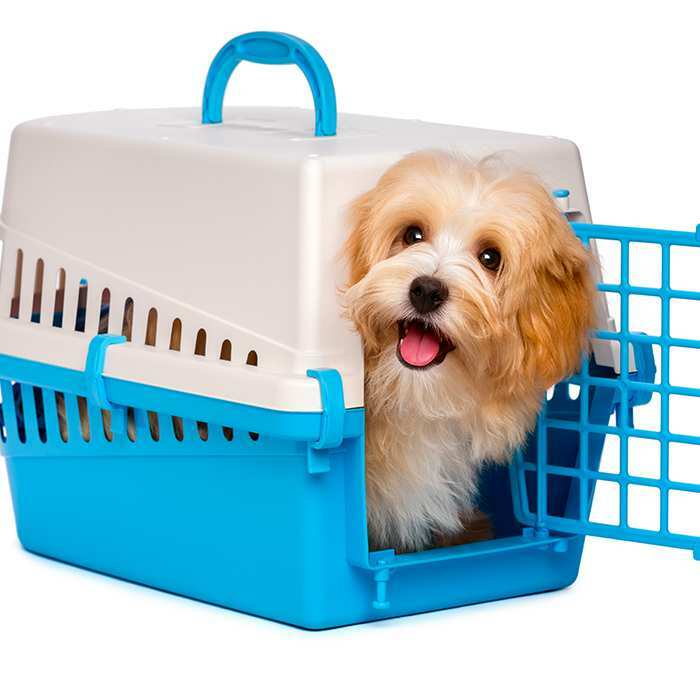 For many people, the idea of crate training is relatively new and crates have been long thought of only as tools for transport. The reality is that, when executed properly, crate training is a fantastic way of developing clear boundaries within the home and toilet training. Being sent to the crate for destroying a pillow or stealing a sausage will soon put a stop to this sort of behaviour, and having a comfortable and trusted capsule for the car will help to calm travel anxiety. Want to include your pet in your travels? Useful tips on travelling with your four – legged friend!